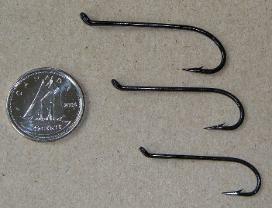 Daiichi Alec Jackson Spey Hooks (black), available in size 3, 5, or 7. $5.99 per 10. 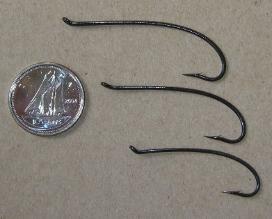 Mustad 36890 Black Salmon / Steelhead Hooks, available in size 2, 4, or 6. $8.99 per 25. 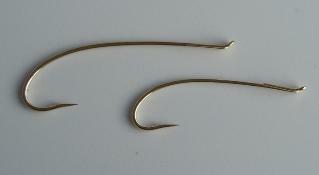 Daiichi Alec Jackson Gold Spey Hooks (black), available in size 3/0, and 1. $12.99 per 10. Daiichi Alec Jackson Blue Spey Hooks (black), available in size 1. $10.99 per 10.